This year the capital city of Athens welcomed “DoitEco”, a series of ecological activities, culminating in the Eco Fashion Show, which basic target was to promote an eco-mentality among society.The aim was to link business, fashion, arts and daily life in one fest, “DoitEco”, the fest of ecology! The body of the activities contained, a series of “green seminars” that ran in cooperation with aeiphoria.net, where business executives had the opportunity to learn more about applicable eco-friendly practices easy to adopt and transfer into their companies. What’s more, installations and eco-artworks sprung and beautified various hubs around the center of Athens, to remind people the value of a balanced and sustainable culture. The culmination of the event was the eco fashion show of “DoitEco”, which was hosted at Technopolis, Gkazi, on Tuesday the 14th of January, 2014! Vancouver, New York, London, Berlin, Moscow and Nicosia have already hosted such an event! 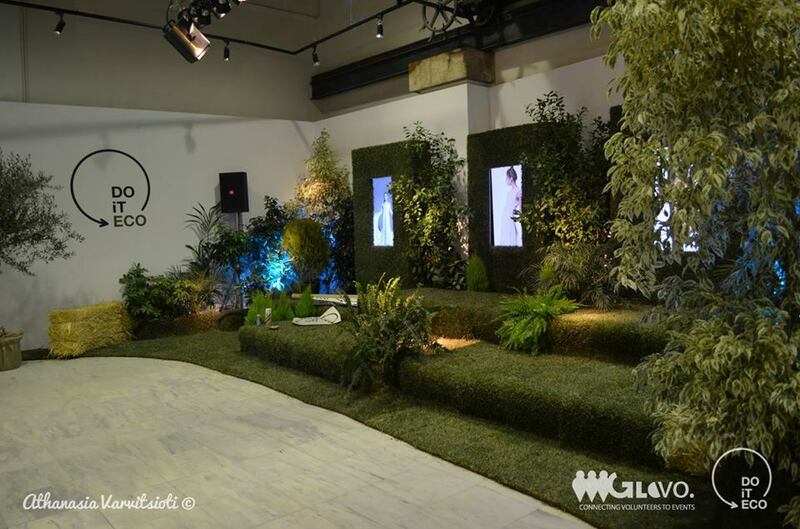 It was the turn of Athens to be the 7th city worldwide that would organize an eco fashion show. Distinguished fashion designers from Greece and abroad exposed their eco outfits on the catwalk! The idea behind this was to engage one of the most vibrant and creative industries in a sustainable mentality and to show that ecological fashion is 100% wearable! EcoluxeLondon, a not for profit platform that supports luxury with ethos, guaranteed that all the creations were ecological and eco-friendly made.